Chief guest and BCB president Nazmul Hassan papon (C) unveils the AB Bank Bangladesh Open trophy during a ceremony at the kurmitola Golf Club recently. 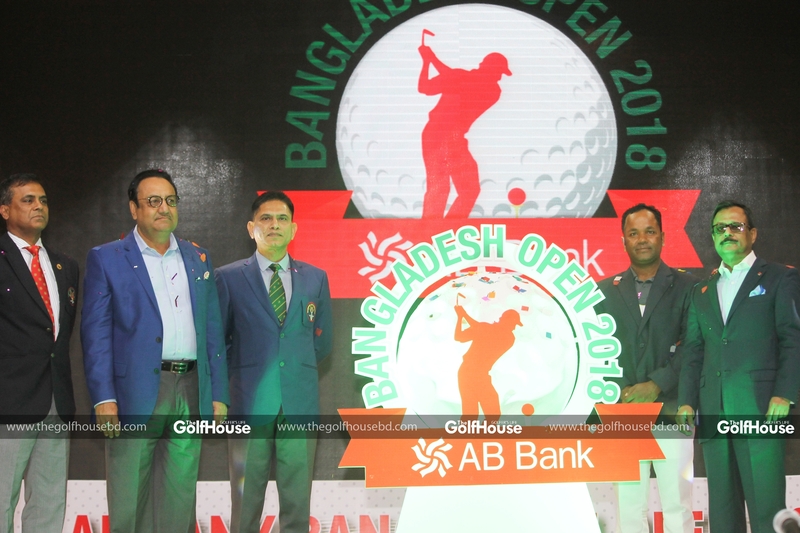 AB Bank will title sponsor the Bangladesh Open when the tournament returns for its fourth consecutive edition on the Asian Tour at the Kurmitola Golf Club from May 9 to 12. AB Bank, one of Bangladesh’s leading banks, will enter its first foray into professional golf by supporting the country’s National Open, which offers a prize purse of US$300,000. worthy champions since its inaugural edition in 2015 where Singapore’s Mardan Mamat claimed his fifth Asian Tour victory. In 2016, Thitiphun Chuayprakong of Thailand earned a sensational first win while his countryman Jazz Janewattananond scripted an inspiring victory last year. 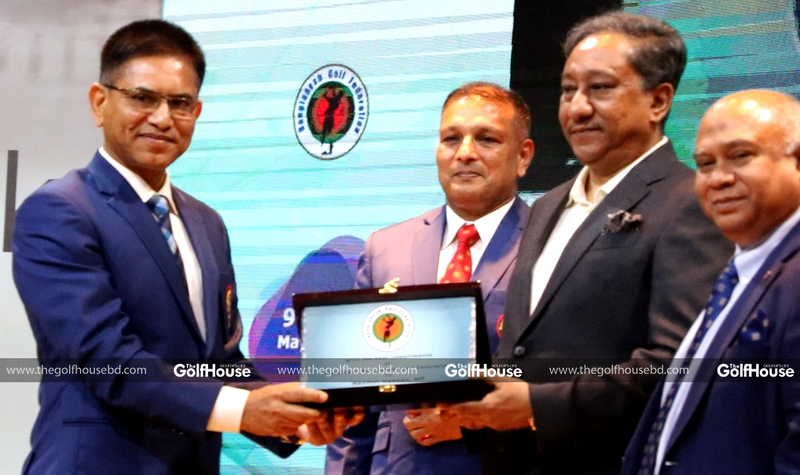 AB Bank Limited was delighted to title sponsor the Bangladesh Open and give an opportunity to local golfers to follow in the footsteps of Bangladeshi hero Siddikur Rahman, who is a two-time Asian Tour winner. “AB Bank is proud to be the title sponsor of the Bangladesh Open, an event which holds high prestige in the country. We look forward to working together with the Asian Tour and Bangladesh Golf Federation to ensure another highly successful tournament,” said President and Managing Director AB Bank Ltd. Moshiur Rahman Chowdhury. “Siddikur (Rahman) is an inspiration to many people in Bangladesh. 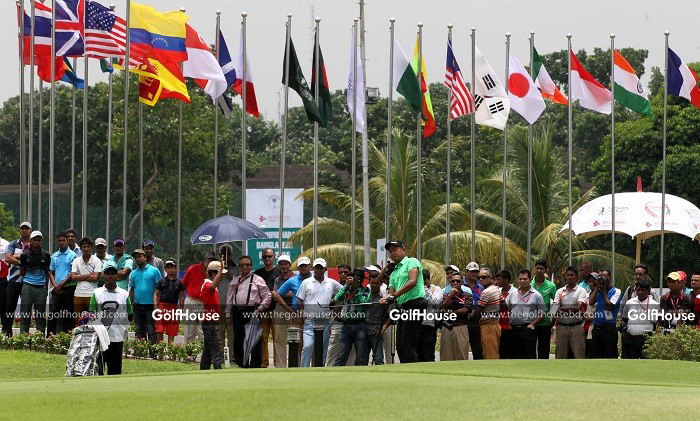 We salute his passion for the game and hope that he will lead a new generation of golfers from Bangladesh who will contend regularly on the Asian Tour,” he added. Asian Tour Chief Executive Officer Josh Burack said AB Bank’s title sponsorship is testament that golf is enjoying a growing popularity in the country. “On behalf of our talented members, we would like to welcome AB Bank as the new title sponsor of the Bangladesh Open, an event which has grown in popularity since 2015. A big thank you to AB Bank for their vision and sponsorship which goes a long way to promote the game of golf in Asia,” said Burack. The Kurmitola Golf Club, which is more than 65 years old, has been a regular host venue on the Asian Tour and the Asian Development Tour.